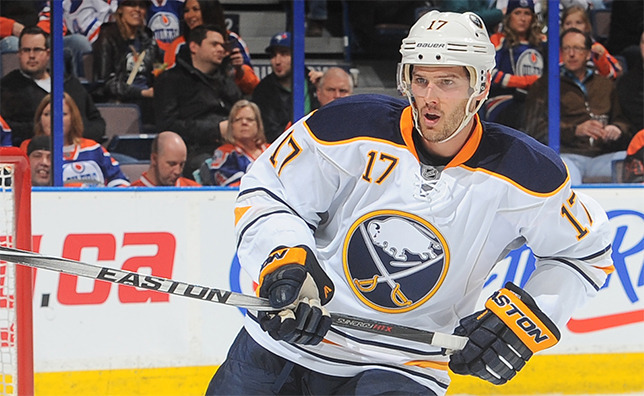 MONTREAL – Montreal Canadiens general manager Marc Bergevin announced Monday the acquisition of forward Torrey Mitchell from the Buffalo Sabres, in return for Jack Nevins and a seventh round draft pick in the 2016 NHL Entry Draft. Mitchell, 30, recorded 13 points (6 goals and 7 assists) in 51 regular season games with the Sabres in 2014-15, averaging 15:20 minutes of ice time per game. He produced two game-winners and was assessed 26 penalty minutes. Since making his NHL debut back in 2007-08, Mitchell has recorded 104 points (42 goals and 62 helpers) in 443 NHL regular season games with the San Jose Sharks, Minnesota Wild and the Sabres. He has scored one powerplay goal and added two more shorthanded while producing four game-winners. The 5’11’’ and 189 lbs centre added 224 penalty minutes. A former University of Vermont Catamount (ECAC and Hockey East), Mitchell registered 105 points (35 tallies and 70 assists) in 115 games in the collegiate ranks. A native of Greenfield Park, Quebec, Mitchell was San Jose’s fourth round selection, 126th overall, at the 2004 NHL Entry Draft. Jack Nevins, 21, served 88 penalty minutes with the Hamilton Bulldogs. The Stittsville, Ontario native first joined the Canadiens on December 4, 2013 as a free agent.